RBI Officer Grade B Admit Card 2018 is out. The higher authorities of Reserve Bank of India Service Board, Mumbai declared the RBI Officer Grade B Hall Ticket 2018 at the organization website. Candidates who are going to attend for the RBI Officer Grade B Examination on 16th August 2018, they should download the RBI Officer Grade B Admit Card 2018 from this page by hitting on the below given link. And this is the right place to know the complete information related to RBI Officer Grade B Admit Card 2018. During the examination, applicants have to submit the hard copy of the hall ticket and identity proof. And also we furnish a direct link to download the hall ticket at the end of this web page. From this web page, aspirants may gather a lot of stuff regarding RBI Officer Grade B Admit Card 2018. So candidates don’t miss this opportunity and download the hall ticket as early as possible. 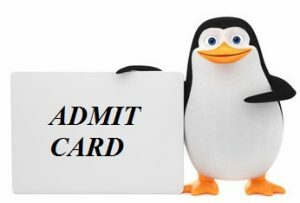 Admit Card Status: Released on 31st July 2018. The RBI Officer Grade B Admit Card 2018 is released on 31st July 2018 for Grade B Phase I Exam 2018. The RBI Officer Grade B Admit Card 2018 is mandatory to all contenders who applied who want to attend for RBI Officer Grade B Written Test. And job hunters need to download the hall ticket through online. Furthermore, candidates who download the hall ticket, they have to check the details such as the center of the exam, exam date, time duration and many more. With the help of entering Registration Number, Date of Birth and Password participants can download the RBI Officer Grade B Admit Card 2018 without any interruption. Moreover, applicants have to find the mistakes appeared on the hall ticket. During the examination, examiners check the complete details appeared on the hall ticket. If invigilators find any mistake on the hall ticket, they did not have any chance to enter into the exam hall. So candidates check the complete details and collect the RBI Officer Grade B Admit Card 2018 before the exam. And job seekers did not download the hall ticket through online. So we arrange simple steps, contenders refer the steps and collect the hall ticket through the official portal. We have provided the notification details of RBI Officer Grade B positions exam like Organization name, exam name, position name, exam date, and organization website in below table format. To make easy to the applicants we provide a list of identity proof and also candidates have to check the details appeared on the hall ticket. And to know more information related to Recruitment Notifications, Results, Cut Off Marks and many more are available in our portal that is Sarkari Recruitment. The RBI Officer Grade B Admit Card is available now to down low now. The Reserve Bank of India Service Board, Mumbai has officially uploaded the Phase II jobs examination for candidates through their official website. Now, this is the time to participate in the online written exam for RBI Officer positions. So the applicants who need to appear in the exam must download the RBI Grade B Admit Card through organization website. When download the admit card the candidates must need to check the information in that. If you find any corrections then immediately inform to higher authorities of RBI Service Board. Along with admitting card or hall ticket must carry any national identity card i.e Driving Licence, Voter Id etc. For more updates about the RBI Officer Grade B exam just click on Sarkari Recruitment. The Admit Card or Hall Ticket is very important for participants in the examination of RBI officer Phase II or Grade B or DEPR, DSIM and General positions. Without the RBI Officer Grade B Admit Card the candidates will not allow writing exams. Actually, the admit card had important details of candidate and exam. Using this details the management will easily find the candidate. The candidates can also check the All India Exams Admit Cards through this article. The more information about RBI Grade B Admit Card like notification, important dates of RBI exam, steps to download the admit card and other details are provided below. The admit card or hall ticket has below important details of exam and candidate. Everyone needs to download the admit card because without hall ticket the candidates will not allowable to the exam. The applicants must carry any identities from below specified along with admit card to exam center for security purpose. Every candidate must follow the below steps for downloading the admit card from the official website of RBI without any errors. Initially, the candidate needs to visit the Reserve Bank of India Service Board, Mumbai official website, www.rbi.org.in. Click the notification tab on the website menu. Search for the notification belongs to RBI Officer Grade B Admit Card. Enter the required details like Roll and Date of Birth. Download the RBI Officer Grade B Admit Card and take print out. Finally, submit to exam center along with an ID. We hope the above article gives details belongs to RBI Officer Grade B positions, will more helpful to all applied candidates. The candidates have any queries please leave a comment in below comment box. For more updates keep following our website Sarkarirecruitment.com. Thank you.